During the holidays, I’m always looking for ways to save time in the kitchen. And when one gadget can do the work of four, that not only saves time but counter space, too. Enter the Ninja® Intelli-Sense™ Kitchen System with Auto-Spiralizer™ — an innovative product that features one smart base that transforms into four high-performance appliances: 72 oz. 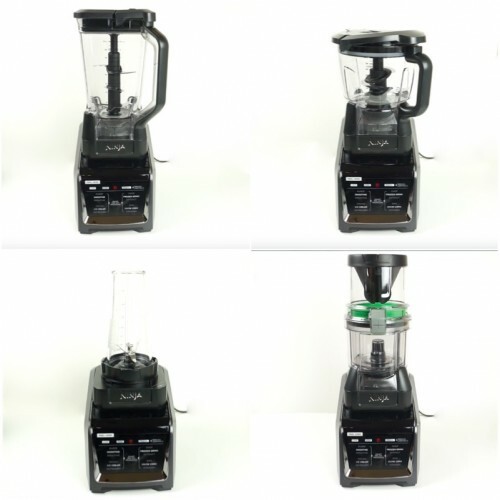 Total Crushing® Blender, 64 oz. Precision Processor™, 24 oz. Single-Serve Cup, and Auto-Spiralizer. I am always using my blender to whip up dips and drinks when we have company over. And a food processor is super handy for chopping veggies and other ingredients for holiday dinner. 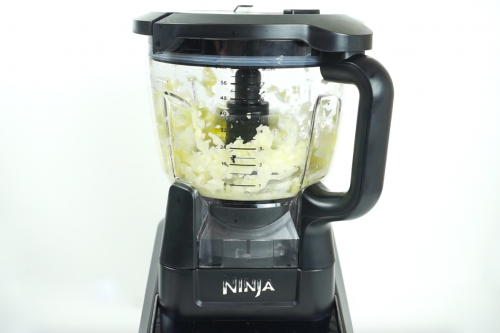 The Ninja Intelli-Sense Kitchen System with Auto-Spiralizer makes those chores a dream. It’s quick, efficient, and Ninja’s Smart Vessel Recognition Technology automatically senses which vessel is attached to the base. The touchscreen illuminates chef-designed smart programs that work with each vessel, only showing the items you need for each one. 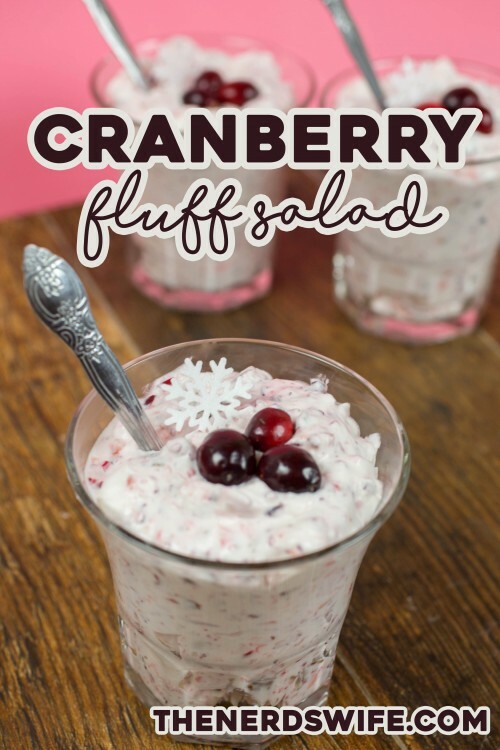 I used the Ninja Intelli-Sense Kitchen System with Auto-Spiralizer to whip up a batch of Cranberry Fluffy Salad for holiday dinner, and you guys — it was so easy! 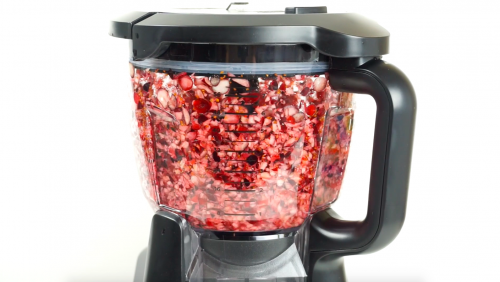 Attach the food processor smart vessel to the Ninja Intelli-Sense Kitchen System with Auto-Spiralizer and pour in the cranberries. Press the chop button and watch the magic happen! 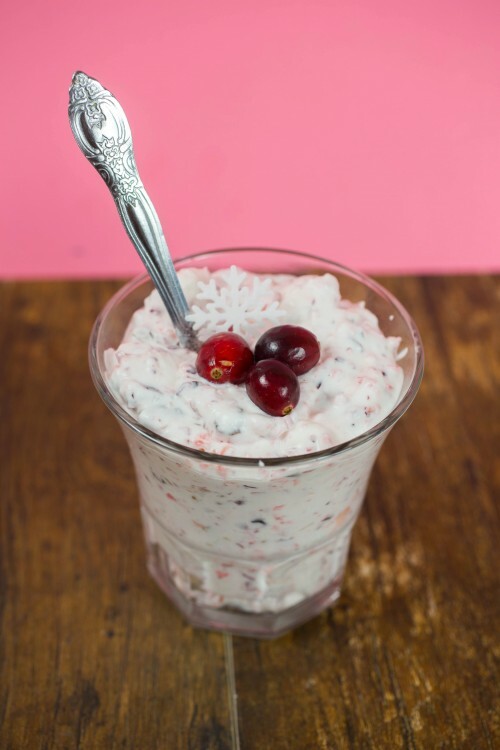 Remove the processed cranberries and transfer to a large bowl. Add the fresh pineapple to the food processor and press the puree button. Pour the pineapple into the bowl of cranberries, add the sugar, and stir until combined. 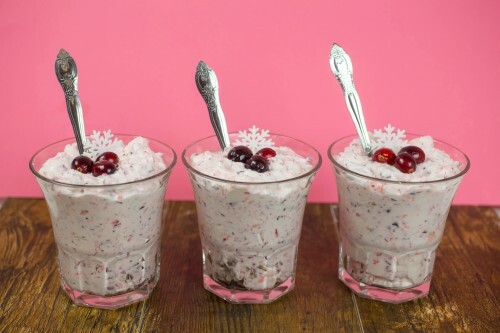 Refrigerate the mixture for at least one hour, preferably overnight. Drain most of the juice when chilled. In a medium bowl, beat the cream cheese until smooth. Pour in the heavy whipping cream and beat until stiff peaks form. Fold the cream into the fruit mixture, then fold in marshmallows and pecans. Cover and refrigerate until the salad sets. Serve immediately. Use my code ARENA15 to receive 15% off your very own Ninja Intelli-Sense Kitchen System with Auto-Spiralizer – good from now until Dec. 31.